Music Man Blog: CD Review: Adair-Aliquo "Too Marvelous For Words"
CD Review: Adair-Aliquo "Too Marvelous For Words"
I have always loved the way the remarkable Beegie Adair plays songs composed by the greatest composers in America. My CD collection contains at least 10 of her CDs, each one a gem! If you like outstanding Piano Jazz Trios you need go no further than to one of Beegie's CDs. On the other hand, I always wished I could hear what she and her trio would sound like if they added another instrument. 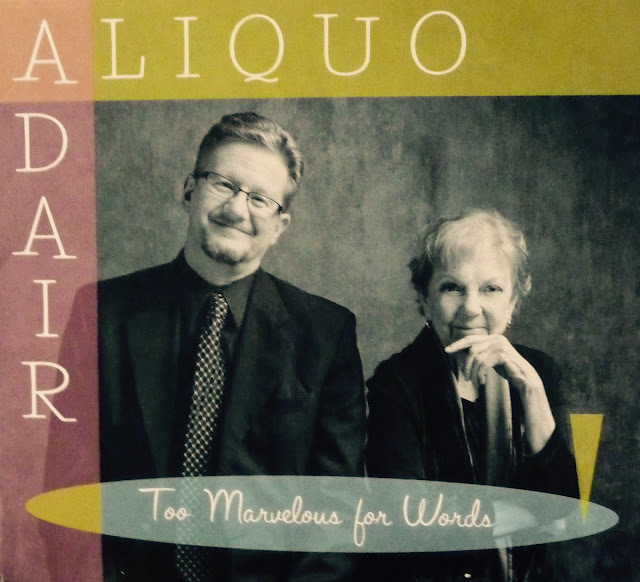 The other day my wish came true as I was sent a review copy of Beegie's new CD, "Too Marvelous for Words" featuring the great Sax player, Don Aliquo. Beegie and Don fit together seamlessly. One would suspect that they have been playing together for years as they anticipate each other's moves perfectly. Well, Don and Beegie have only performed a few times over the years and this is their first CD together. So my guess is they must be brother and sister! The songs they have selected for this album are all part of Jazz history. 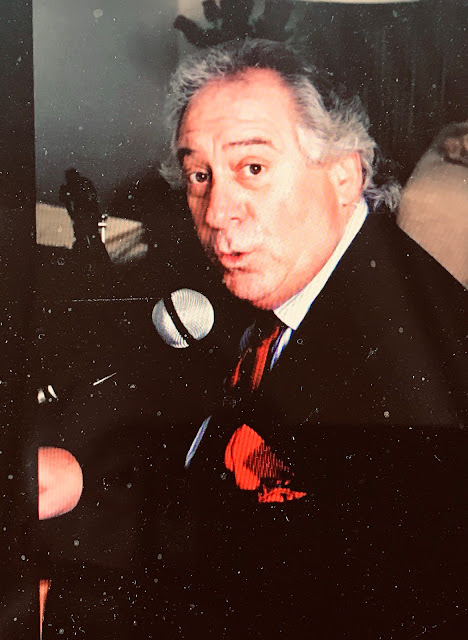 The composers are all out of the "Great American Hall of Fame" including 2 gems from Billy Strayhdorn, 2 from Lorenz Hart and Richard Rodgers, and contributions from Thelonious Monk, and Johnny Mercer. Completing this musical Jazz gem are two of Beegie's Trio, Roger Spencer on Bass and Chris Brown on Drums. When you combine these four spectacular musicians, the interplay from the quartet sounds like a musical dream. 1. "Johnny Come Lately" 2. "This Can't Be Love"
3. "Day Dream" 4. "Bye-Ya"
5. "Isfahan" 6. "All or Nothing At All"
7. "I Hear A Rhapsody" 8. "If You Could See Me Now"
9. "Too Marvelous For Words" 10. "It Never Entered My Mind"
I have attached a "YouTube" of two songs from this CD, "This Can't Be Love" and A wonderful version of the Duke Ellington, Billy Strayhdorn and John La Touche classic, "Day Dream".